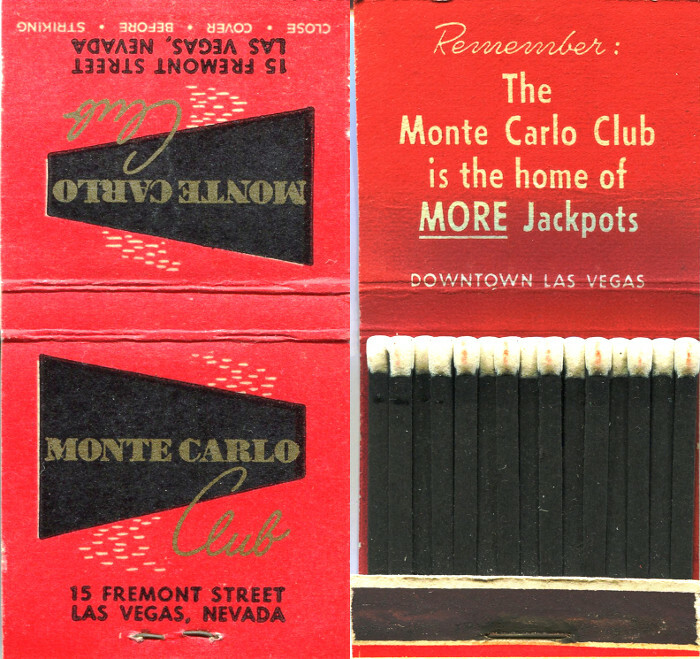 The Monte Carlo Club opened in 1945 at 15 Fremont St. at the location of the Turf Club. 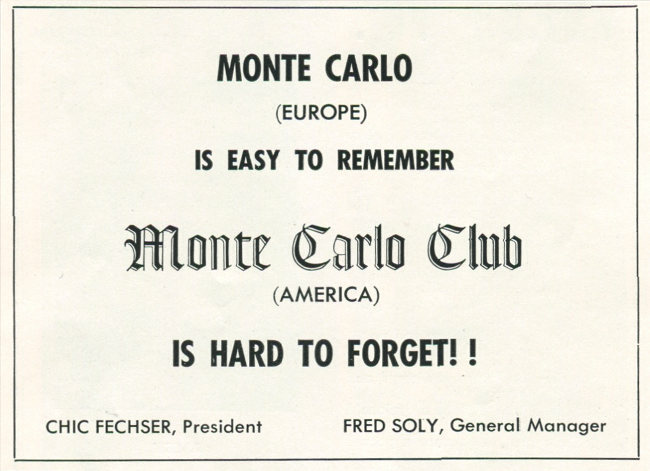 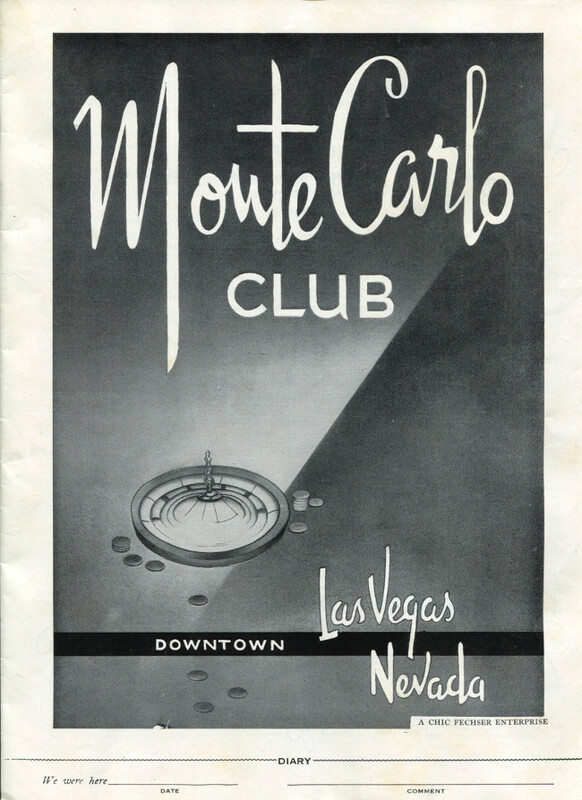 The Monte Carlo Club was opened by Wilbur Clark as his first Las Vegas casino venture. 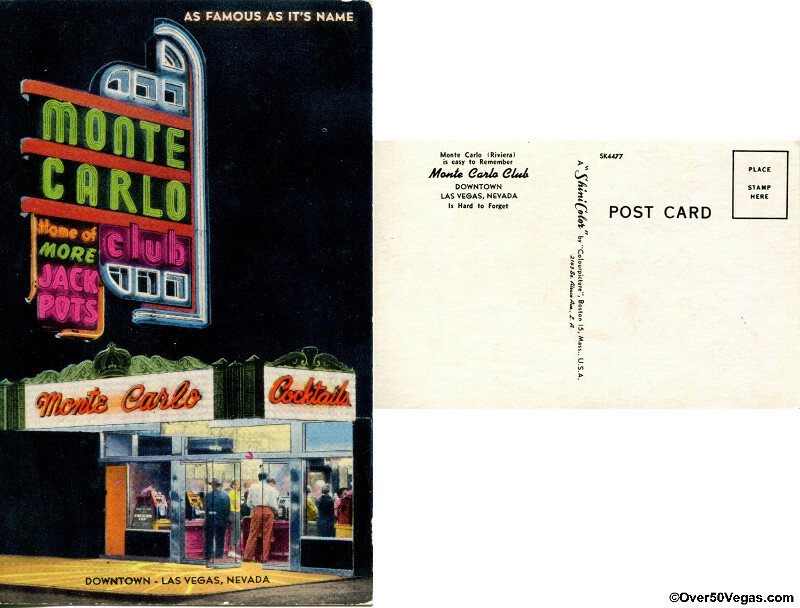 Clark would become a very big player in Las Vegas casinos and go on to open the Desert Inn on the strip. 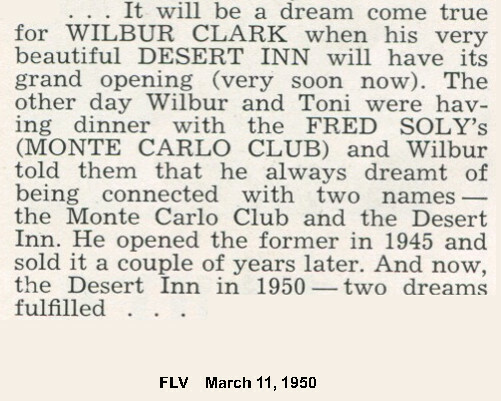 Wilbur Clark's name would be attached to many properties in the next 30 years in Las Vegas. 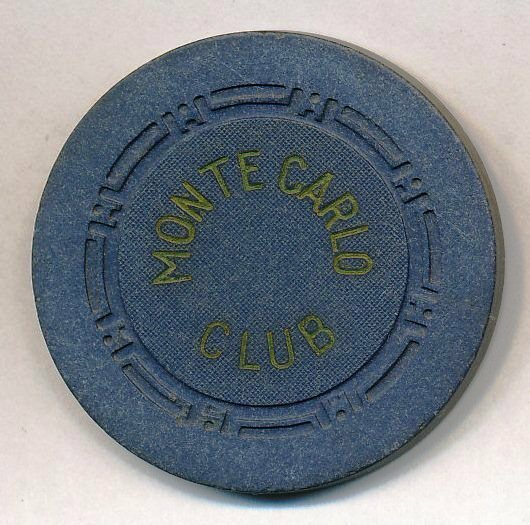 The Monte Carlo had several owners until it closed in 1956. 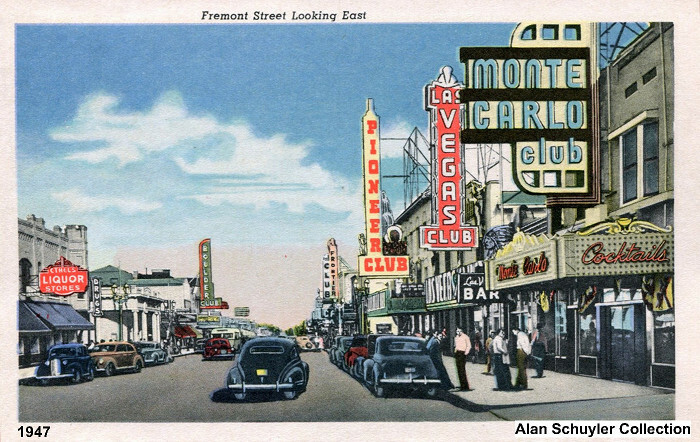 The property was a Denny's Restaurant in 1967 and Sam's Roast Beef in 1969 according to phone listings. 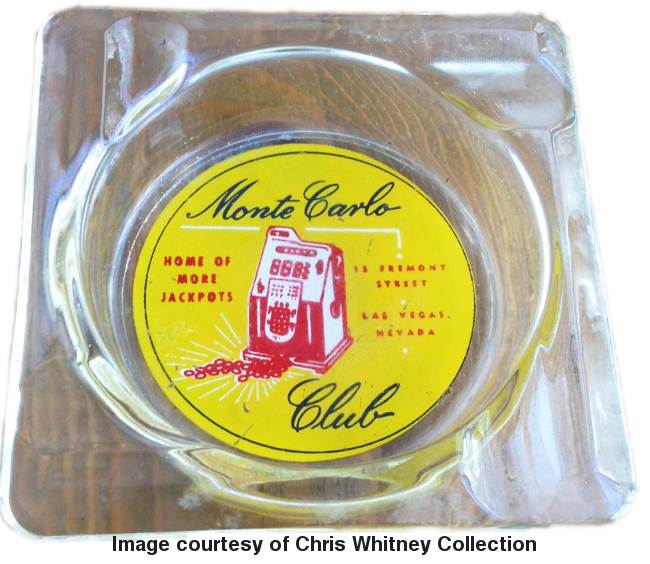 In 1970 the location became the Coin Castle and then from 1999 to 2016 it was the La Bayou.